Ensure you deliver the right offer to the right customer at the right time. IBM Predictive Customer Intelligence transforms data about your customers into insights and recommendations. This helps your organisation understand and interact effectively with individual customers based on their buying behaviour, online activity, social media presence and more. Giving your business the ability to take actions that drive long-term customer value and loyalty. IBM Predictive Customer Intelligence builds on customer data to create a comprehensive view of each customer and understanding their individual needs. This develops relationships and loyalty with the empowered, “always on” consumer. IBM Predictive Customer Intelligence ensures interactions with customers are coordinated, optimised and effective. Relevant customer data is gathered automatically from multiple internal and external sources then the integrated software solution uses advanced analytics to model customer behaviour. Real-time scoring then offers customised actions, which can be taken to effectively interact with each customer ensuring you can deliver a personalised relevant offer at the point of impact; boosting customer satisfaction and sales revenue. Big Data and Analytics. Discover a solution that helps provide a relevant and personalised customer experience to all channels. IBM Predictive Customer Intelligence delivers instant insight for the best course of action based on analysis of customer data, transforming customer experience. 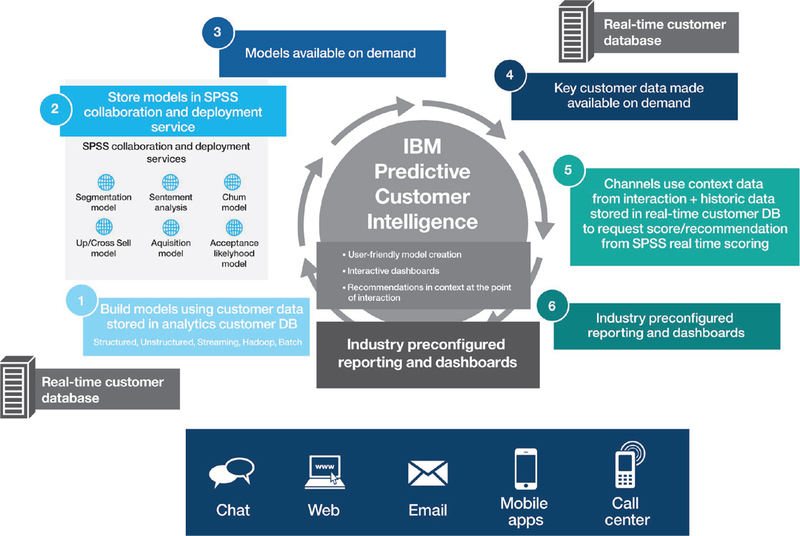 To find out how Influential Software and IBM Predictive Customer Intelligence can help your business, please let us know a convenient time to call you.